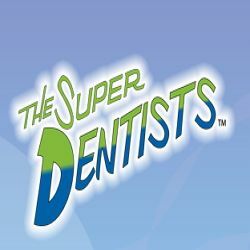 The Super Dentists provide both specialties of pediatric dentistry and orthodontics in one magical place; a place as extraordinary as the patients we serve. We look forward to seeing you in our offices to show you how the super heroes of pediatric dentistry and orthodontics are saving the world one smile at a time. Magical reception room with video games, movies, and refreshments. Pager service for busy parents and a 24-hour emergency service.